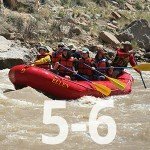 School Field Camp and River Program - Five Nights, offers an in-depth land and river educational program at CFI's field camp and on the Colorado river. Combine our two great Land & River Programs into one for an amazing educational adventure! School River Trip - One Day with CFI in Moab UT is a perfect educational stop for your school or youth group traveling in or through the Moab area. 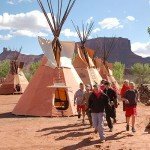 School River Trip - Two Nights with CFI in Moab UT invite you to Journey through time and explore the rich history of the Southwest by river. These wonderful scenic floats include mild rapids and extensive prehistoric Indian rock art and dwellings. 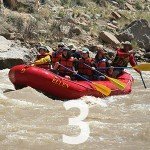 School River Trip - Three Nights with CFI in Moab, UT take you in serene flat water canyons or exciting whitewater. Raft the Colorado, or explore the rich history of the Upper San Juan River. 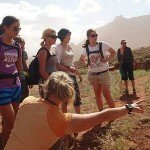 School River Trip - Four Nights with CFI in Moab, UT. Raft the Colorado River, canoe the Green River, or raft the San Juan River. Three great options! 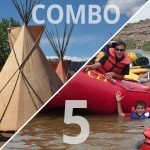 School River Trip - Five or Six Nights with CFI in Moab, UT. Canoe Labyrinth Canyon on the Green River, or raft the Upper or Lower San Juan River.